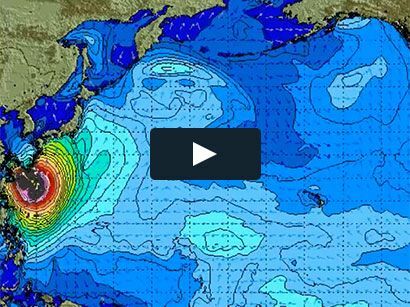 2016 John Kelly Awards pre event kick off at Surfer, the Bar TONIGHT: Friday! 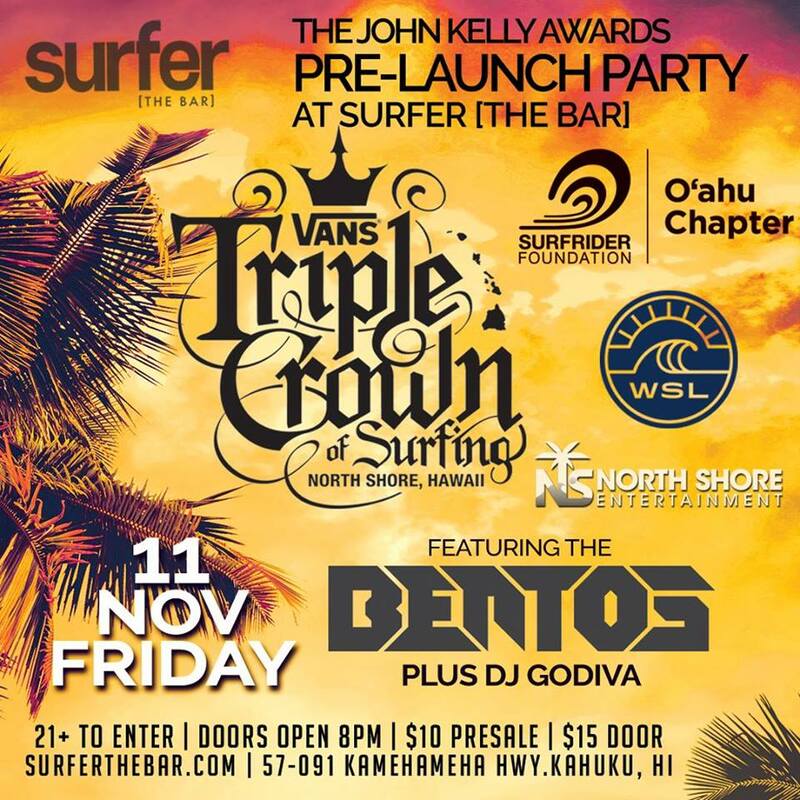 We are kicking off our 2016 John Kelly Awards weekend again this year with a pre-party at Surfer, The Bar at Turtle Bay Resort on Friday night the 11th. 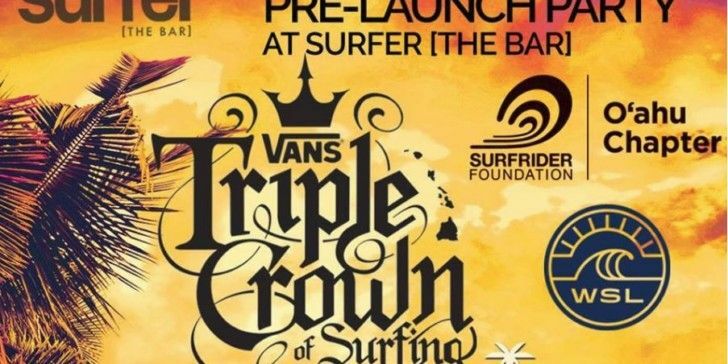 Part of the opening of the Vans Triple Crown of Surfing by World Surf League we’ll have a great night of music and fun. The night includes music from the The Bentos and Dj Godiva who will be rocking the house and keeping you dancing all night. All proceeds from the event go to supporting Surfrider Oahu and our mission to protect our island’s ocean, beaches, and waves. Bring your friends and kick off the John Kelly Awards weekend and the start of the Triple Crown season. A huge mahalo to the Turtle Bay Foundation, Surfer the Bar, and our planning team headed by Foreseeable Futures for making it all happen. Our organization is gifted to have some amazing peopel working to support us!